Unfortunately spam callers has become quite popular these days for telemarketing companies lately. If you receive an unwanted call, there are a few different things we recommend doing to stop future calls. There are two different ways to filter incoming calls with block callers. 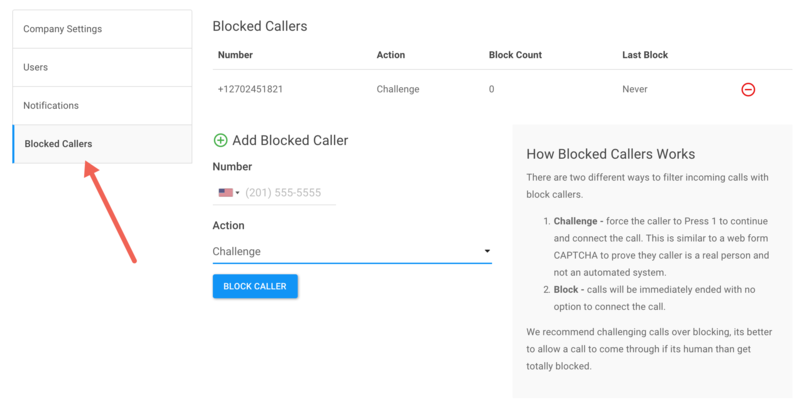 We recommend challenging calls over blocking, its better to allow a call to come through if it's human than get totally blocked. 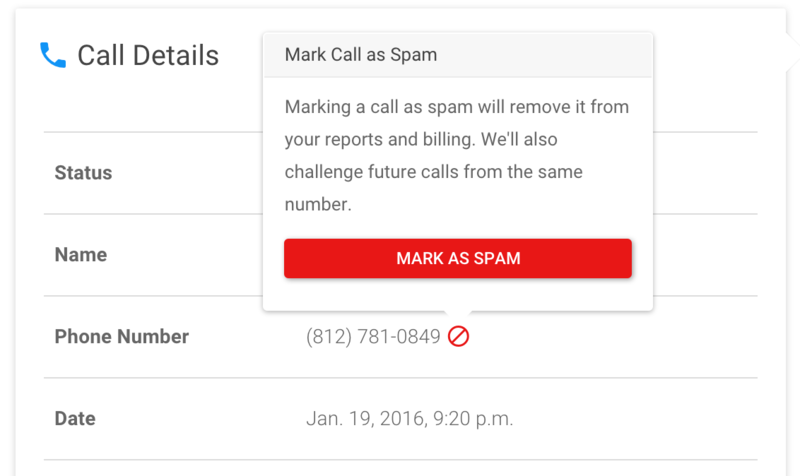 Marketing a call as spam can be done easily from the call details screen by clicking on the red block icon next to the caller's number. Once a call has been marked as spam, all future calls from that number will be challenged and force the caller to input a number on the dial pad to continue the call. This is normally enough to prevent future calls from robo dialers. Note If you mark a call as spam, we will not bill you for any minutes usage for the call.